Wow this year the Lush Halloween range is rather impressive! There is such an amazing range of bath bombs, soaps and other goodies that i found it really hard to decide which to use first. 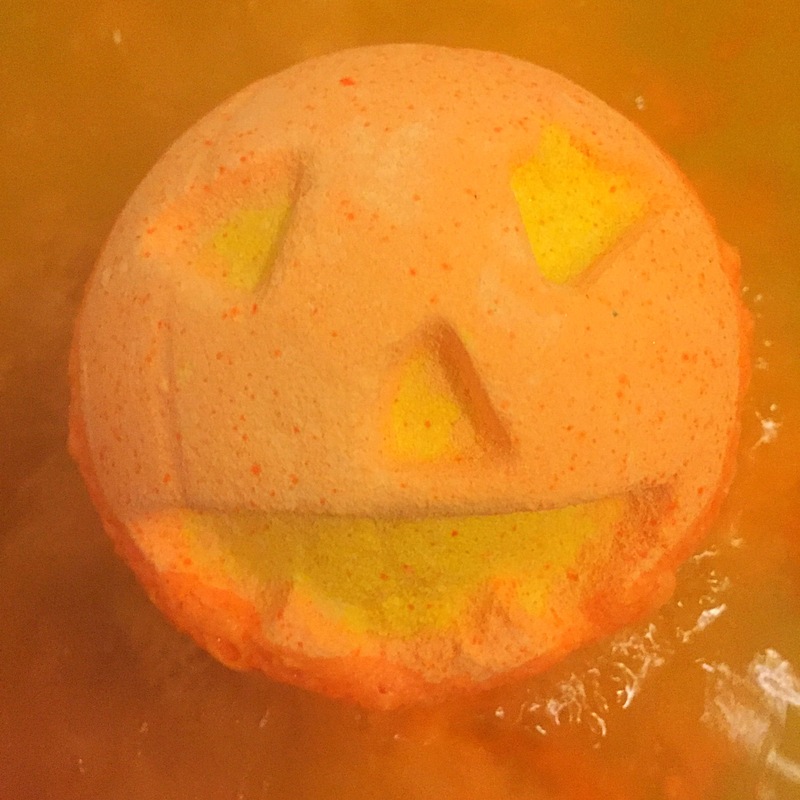 I eventually decided to try this little Pumpkin bath bomb mainly down to how much I loved the scent. The Pumpkin bath bomb is a very traditional looking Halloween product. 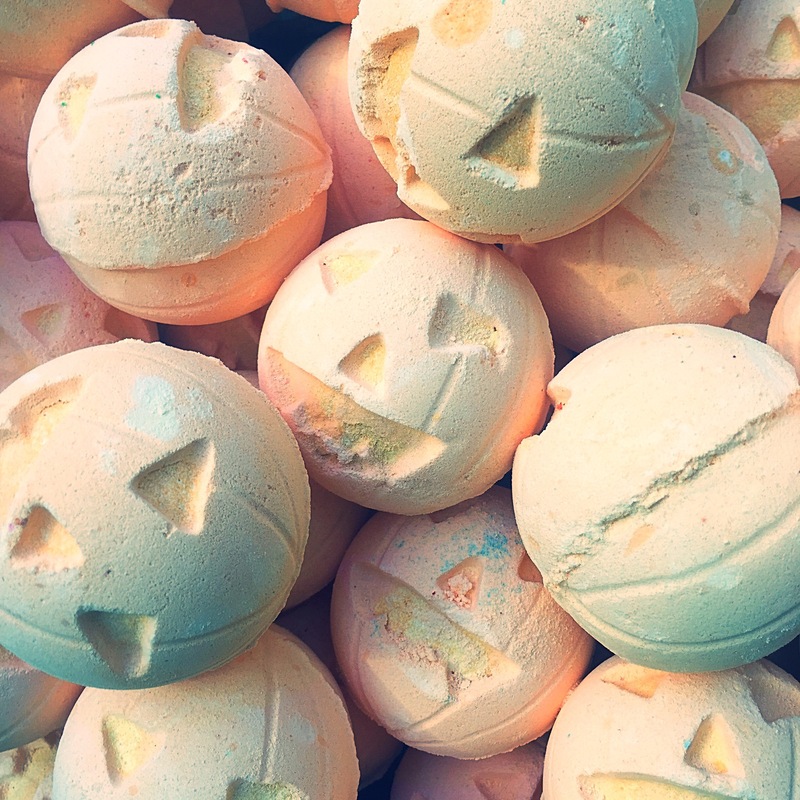 Designed to look like the Jack o’lantern this pale orange bath bomb just screams Halloween and I’m sure it’s going to be a firm favourite amongst many this spooky season. Containing vanilla absolute and cinnamon bark oil the Pumpkin bath bomb has a sweet yet spicy scent. The cinnamon gives the bath bomb a very warming feeling, which makes it perfect for the darker and colder days that are heading our way. The vanilla also creates a lovely sweet element. I’ve never tired pumpkin pie before so don’t really know how it smells,but this bath bomb creates a scent that I imagine is very how it does smells. 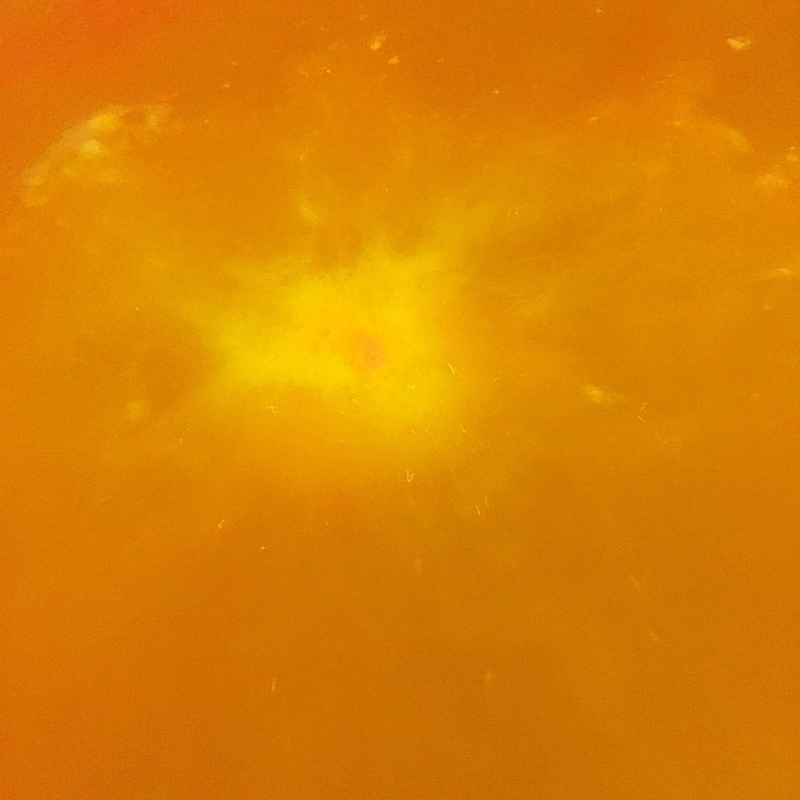 Once in the water the Pumpkin bath bomb is a super fast fizzer. This bath bomb doesn’t put on much of a show instead it turns the water a lovely pale orange and the scent of the bath bomb really heightens once mixed with the warm water. 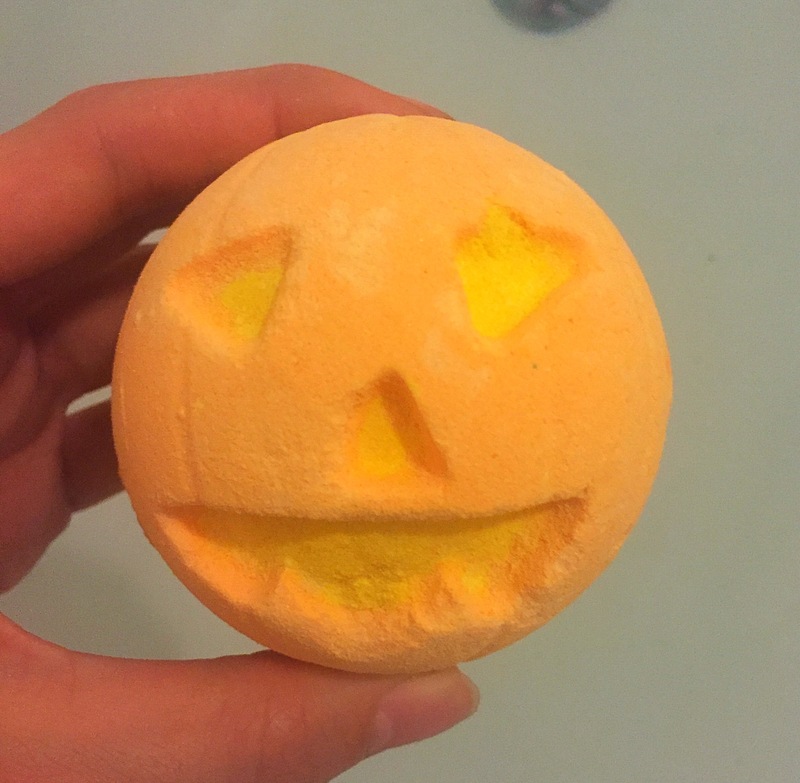 I found the Pumpkin bath bomb to be very relaxing and it created a very gently warming feeling, which is great if you have any aches and pains or just want to warm yourself up on those chilly nights. Overall I really enjoyed this bath bomb. I loved it’s sweet yet spicy scent and loved it’s cute Halloween design. 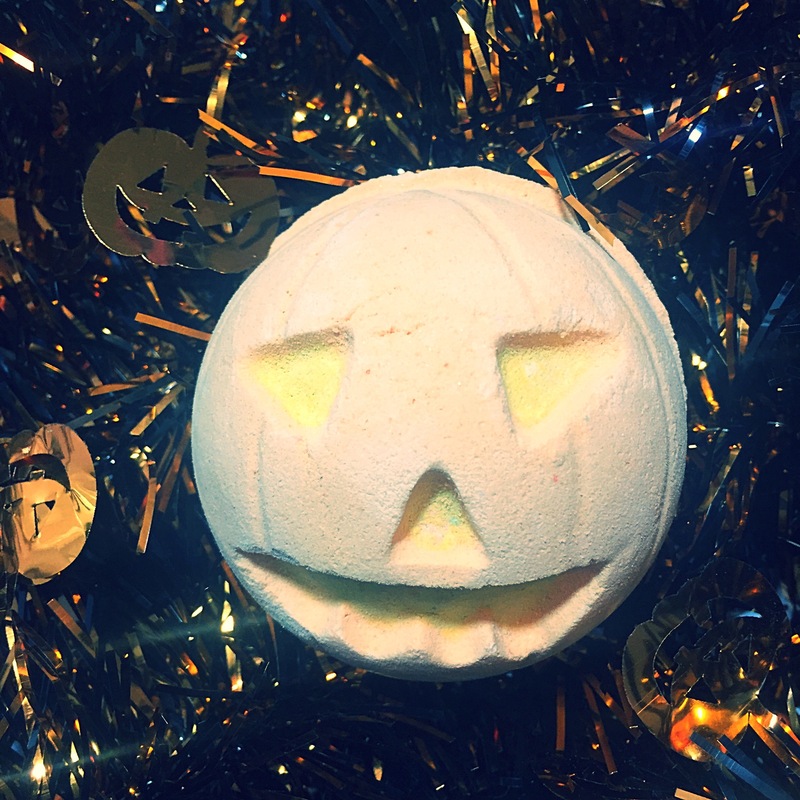 The Pumpkin bath bomb is defiantly one of my top favourites this Halloween season and il be stocking up on lots to keep me going over the colder months. Great review! I can’t wait to get mine.